As an outsider to the world of tea, all of these little details baffle me. My small collection of teacups is a mix of presents received from friends and guests, and pieces that I’ve picked out solely on looks. There’s got to be more to it than that though, right? That’s why I asked a special friend to join me for a walk through Kyoto’s pottery district. With his trained eye and encyclopedic knowledge of tea, my search for a new teacup took on a whole new level of depth and meaning. On an unseasonably warm March morning, I met up with Tyas Sosen, a tea practitioner who has achieved the remarkable feat of being the first Belgian national to earn the rank of Japanese tea master. He is passionate about communicating the importance of tea and the formal ceremony connected with it. From this simple drink, Tyas believes that we can learn important lessons about our world. A single cup of tea can open up our mind to new perspectives and fresh ways to approach day to day life. The tea house that he runs in Kyoto offers wonderful tea activities, all narrated in fluent English in a manner that makes the tea ceremony approachable and engaging. Click here for more info. I’m hoping that some of his keen knowledge will rub off on me as we walk up the gentle slope of Gojo Avenue on the eastern side of the Kamo River. This neighborhood is well known for its pottery, but I tell Tyas that I worry most of it is simply aimed at tourists. He agrees, but assures me that there are some gems in the rough here as well. The antique tea bowls that he uses in his tea house are found elsewhere, but the shops in Gojo are excellent for souvenir hunters hoping to buy cheap or mid-range pieces. Walk east of Kiyomizu-Gojo subway station and you'll find a variety of pottery shops on the north side of the street. Farther up towards Kiyomizudera Templeare more streets that holds even more shops packed full of all sorts of ceramic odds and ends. I pause at a bin of pale pastel tea bowls outside of a shop, heavily discounted down to a very attractive price. Tyas immediately recognizes the bowls as rejects from a mass production kiln. “Too perfect. No character,” he says. You want a certain organic roughness to a proper teacup, and these ones – while beautiful – are too uniform. A respected kiln facility would smash these instead of trying to profit from them. We move on. What should I be looking for, I wonder aloud. The master tells me to look for nature. “My favorite teacups look like a rock or chunk of earth from a distance. Like a piece of the wilderness, or something you'd find laying on a beach,” Tyas explains. “Only when you get close and hold it in your hands can you see that it’s in fact a crafted vessel.” And they really should be held. No teacup is made to sit in a glass case as if in a museum. Tyas believes a cup has no character until you pick it up and examine the aesthetic details up close. If the bowl doesn't call out to you to hold it, it's not the right bowl for you. Sometimes this sort of examination is hard to do in shops that display their items behind glass, but usually owners will open the case if you show interest. We press on up the street hoping to find a hands-on friendly shop. We stop in a well-stocked store called Chikukodou. I’ve taken guests here before when they’ve wanted a nice tea bowl, and the selection here always proves a hit with shoppers. They even feature some impressively artistic shallow sake cups with all sorts of patterns mimicking geode crystals and other minerals at reasonable prices (see pic above). Seeing this shop with Tyas is a whole new experience. He does a quick walkthrough before returning to the section that caught his eye initially: a cramped display of matcha bowls in various styles. Names of artists and styles start flying. Oribe, the rough-hewn green and brown vessels of thick-glazed earth; Kobori Enshu, a founding tea master who commissioned bowls from all over the world; Shonzui, porcelain with bright blue patterns meticulously painted on the bone-white surface. But then his gaze settles on two tan bowls in the Mishima style. Intricate patterns are etched into the clay, creating flowers and geometric shapes. I’m surprised he chose these, as he's been saying he generally prefers simpler styles lacking patterns. The detail work is incredible, and the finesse it took to make the designs is evident and impressive. Even more shocking is the reasonable price, well within the impulse buy souvenir price range. I pick up a jet black cup that looks more like something ejected from a volcano than a crafted item. Tyas’ way of seeing things is rubbing off on me I guess. A deep red spot near the craggy rim, not visible at first glance, marks the front of the bowl. All cups are created with a specific front side, an important element that was explicitly request by Edo-period buyers when placing orders from artists. You don’t drink from the front, but it’s presented to you when the bowl is served. I really like this rough black cup. A piece of nature. Perhaps I’ll come back for it later. A rough brown cup earns high praise from the tea master. The shades of brown and tan look more like mud than clay, and the glaze is thin and doesn’t catch much light. Chunks of earth are stuck in the glaze, keeping us mindful of nature as we admire the piece. Tyas points out that the potter used his thumb to indent the rim of the bowl on one side, thus marking the front. As he holds up his hands as if cradling the bowl and subconsciously mimics the tea ceremony actions, it’s evident that Tyas longs to serve tea in this bowl. Next to the dull brown cup is an orange one, more blood orange than ripe tangerine. The light shines on the thick glaze and you can see that it also hides shades of red and salmon, with a dark patch of crimson hiding inside the basin. A curl of black marks the front. This is raku ware, a popular style of tea ceramic that is crafted from scratch without the aid of a potter’s wheel. Clay is added piece by piece and the shape emerges organically. The previous brown bowl that we just admired began as a lump of clay on a wheel and spun into a bowl, with pieces of clay removed to achieve the desired shape. Addition and subtraction. Two very different methods of creating a teacup. The way that Tyas chooses his teacups is not just based on personal visual taste. The particular school of tea that he follows shapes what he uses. The Enshu school prefers bowls with a certain display of wabi-sabi, the difficult-to-define design quality that emphasizes imperfection and impermanence. The earthen grain and uneven rim of the brown bowl in the shop window fits this aesthetic perfectly. Yet wabi-sabi is not just a visual thing. It also evokes an emotive response to the transience of nature. Nothing is perfect, everything is impermanent. Especially a fragile teacup. When you get your hands on a bowl and really feel the natural elements within your grasp, there’s a connection between the object and your heart. If that connection moves you the right way, “you’re bound to buy it,” he says with a knowing smile. It’s clear he’s experienced this before. Who knew shopping for tea cups would have such an emotional side to it? On a sidestreet that cuts over to a busier pathway up to Kiyomizudera Temple, we discover a small store called Arts Yasuki (アーツ安木). Tyas is in the market for new small cups for loose leaf tea tasting, and some white and blue cups in the window catch his eye. They’re nothing special artistically, but they’re made from exceedingly thin material. He explains that a thin rim touches your lips much lighter than a normal cup, allowing the tea to slip into your mouth smoothly. 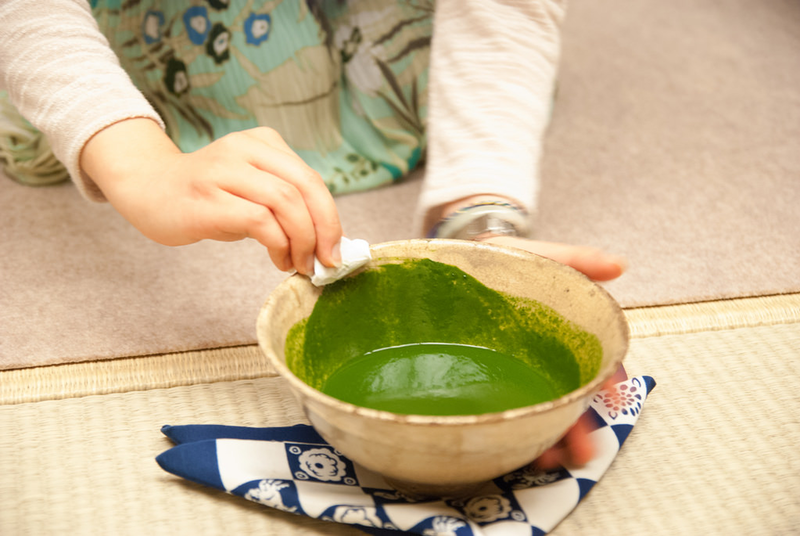 A matcha tea ceremony is largely about the ceremony and tools, but casual tea sampling should be just about the tea. An inconspicuous cup is ideal. The array of cups at this small shop is wonderful, with a few modern pieces really impressing us with their layered, crystalline designs. We spot some nice miniature sake cups that are modeled after larger matcha bowls. Tyas keeps returning to the tiny tasting cups, so they go on our fast-growing “maybe” list as well. Maybe later. Tyas tells me he wants to visit a specific shop up ahead on the busy Kiyomizu Zaka street. We push through the crowd of tourists dressed in rental kimonos and school children on field trips, and turn into a secluded courtyard off the main street. Asahitouan is just one shop in a small enclave of craft workshops and restaurants. There’s a little bit of everything here. From contemporary art pieces that are pushing teacups into new creative realms to traditional iron tea kettles and rustic long-handled tea servers, you can find all sorts of styles (and prices) here. The tables and bins outside that hold the bargain pieces are far more interesting the bargain stuff we saw at the base of the hill. Nothing catches my eye, but there are tons of attractive souvenirs for tourists not sold in other shops nearby. Tyas spots some more potential tasting cups, but we decide to head back down towards the river, our eyes still wandering over pottery in shop windows. On the way back, Tyas comments on the painted bowls in the windows. He prefers a more natural, rustic look, and would never use a cup with painted scenery in his ceremony. I mention that many of them appear to be seasonal, featuring the princess dolls displayed in the Hina Matsuri (Girls Day) holiday this week. Tyas reminds me that seasonal bowls are only to be used in the correlating time period. Even a plain bowl with no obvious seasonal style to it might have a seasonal poem written on its wooden box. That connection negates any use of the bowl outside of the poem’s season. To do so would be disrespectful to the bowl itself. I’m shocked at this level of seasonal depth, but Tyas explains that the poem is part of the bowl’s story and needs to be considered. After all, the artist clearly had a time of year it in mind when crafting the piece. The seriousness put into the creation of a teacup isn’t something I had given much thought to before, which illustrated the distance between myself and the world of tea. Distance is an important concept that keeps coming up on today’s shopping trip. I really liked Tyas’ idea of seeing bowls at a distance as pieces of nature before examining them up close as art. Is there an element of distance in the tea ceremony itself, I ask the master. His response is immediate. “Everyone begins at a distance from the tea ceremony. Even an eventual master For visiting foreigners, the ceremony is alien and not immediately relatable. I want to erase that distance through teaching the tea ceremony and make the world of tea approachable and understandable.” This is why he invites guests to his unique tea ceremony in English at his teahouse in the traditional Miyagawacho district. He genuinely believes that everyone can learn something profound from a proper tea experience, but what that is will be different for everyone. It’s a noble goal that illustrates how much depth tea has to offer to everyone in uniquely personal ways. I tell my companion that I think my mind is set on the rocky black bowl from earlier. I think he approves. We walk back into Chikukodou and make the purchase. Tyas also finds a surprise waiting for him. The thin teacups from earlier are for sale at this shop as well, in a variety of styles and at a far lower price. We’ve both had a successful day in one of Kyoto’s most interesting shopping districts. I won’t be using my newly acquired piece for tea today, but maybe in the future I can bring it to Tyas’ tea house and he can prepare some matcha in it using the proper utensils. I have a feeling the vibrant green of the matcha will look spectacular in the jet black cup, but there’s no rush. Tea is not something that needs to be acted on impulsively. When the time is right and the bowl is ready to be used, it will happen naturally. For now, it waits patiently in its wooden box, dreaming of the moment when it can be fully appreciated and impart its wisdom to the drinker. 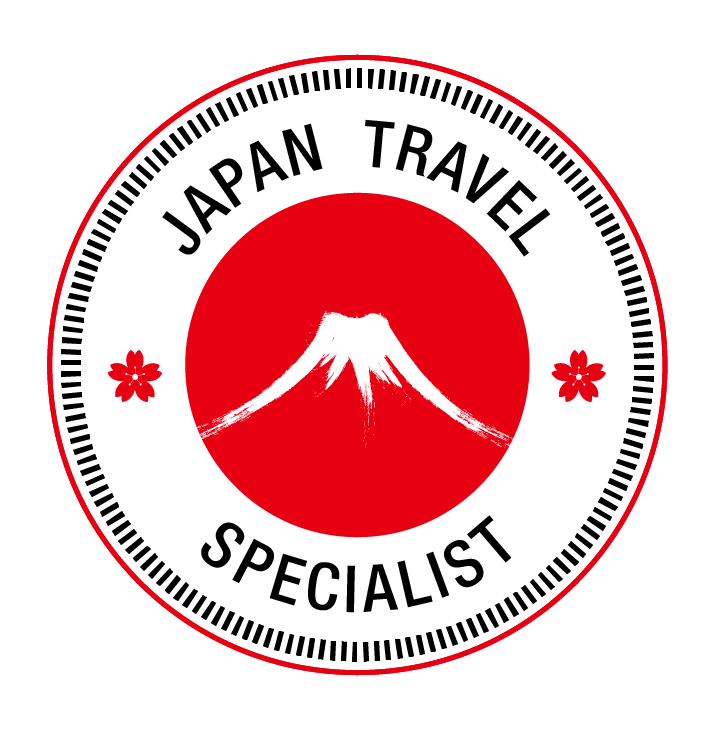 If you will be visiting Kyoto and would like to shop for teacups or experience a tea ceremony, KyoTours Japan is happy to add these activities on to the tours that we offer. Perhaps, if the stars align, master Tyas Sosen can join us as well.